Ahh, the end of the year, the time when people all around the world make a list of New Year’s Resolutions — promises to themselves that they probably won’t keep. Lose weight. Get organized. Save money. I’d love to do all those things, but this isn’t that kind of list. I’m a traveler, and I want my 2016 to be an awesome year for travel. I’ve got some ideas of how I can make that happen, and I want to share them with you. 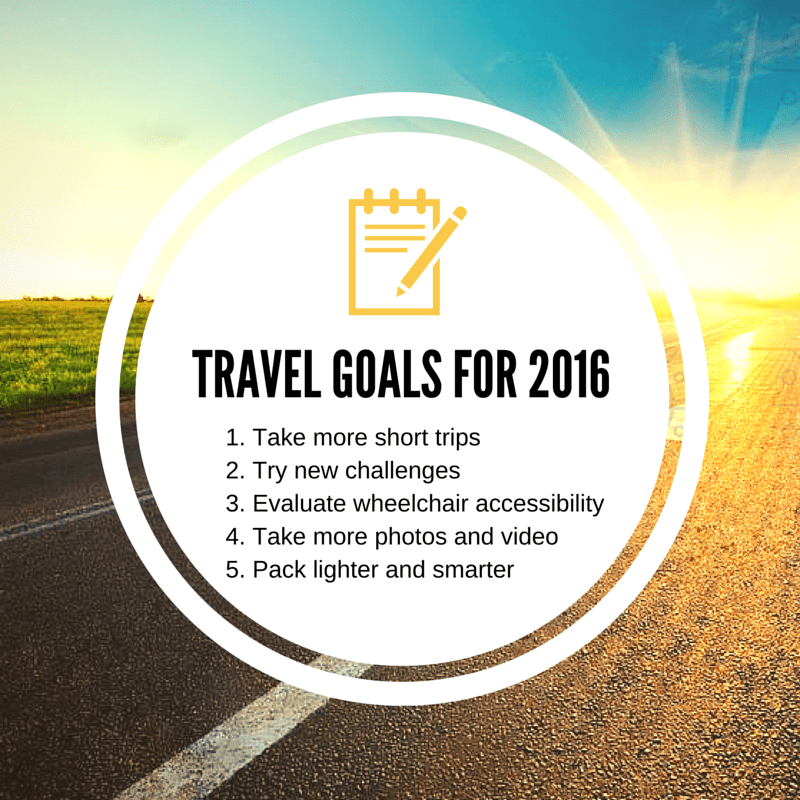 Here are my 5 travel goals for 2016. I’m rarely one to do anything on a small scale. I tend to go big, to plan lengthy and epic road trips where I try to fit in as much as possible. Sadly, right now, budget is a big consideration, but thankfully that doesn’t put an end to my travel goals. With my move to the Midwest, I’m actually in a better place to take lots of short trips. I’m within a day’s drive of Chicago, Nashville, Atlanta, and many other cities I’ve never seen or haven’t visited in years. I’m hoping to take more weekend trips, and trips for a week or less, focusing on one place or a specific event. By spending less time in more places, I can discover destinations that I’d like to return to for a longer stay in the future. 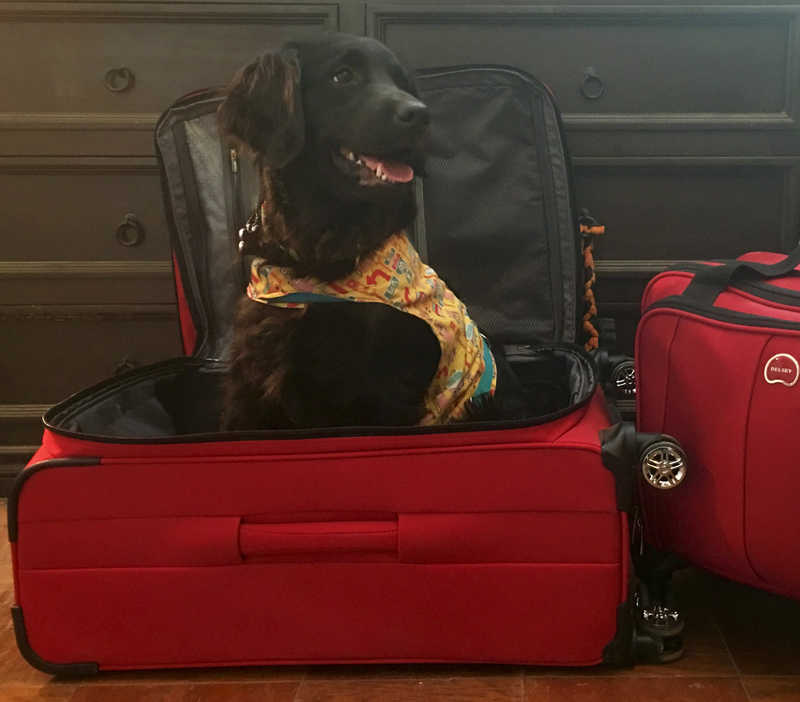 We all have our favorite reasons for traveling. When I travel, it’s almost always for one of a few reasons: to see family or friends, or to see a musical or concert. While I still plan to do those things, there’s much more out there for me to experience, so this coming year, I have new travel goals. I want to spend more time attending conferences on travel, blogging, disability rights, and dog training. I want to visit animal sanctuaries and do rescue work. I also want to try different forms of transportation at the places I visit. Although I always travel by van, I know that many people with disabilities fly or take public transportation, and I want my reviews to include information on getting around in cities without a car. When I’ve traveled in the past, I have mostly focused on wheelchair access issues as they have affected me personally. I haven’t always taken the time to fully document accessibility at every destination I review. I want to change that, and make doing full wheelchair accessibility evaluations one of my major travel goals. From now on, I’ll be checking for accessible restrooms at every store or restaurant I visit, whether I use them or not. I’ll pay more attention to parking and note that as well. I have plans to create more in-depth guides about accessibility for various popular destinations, to help readers who may want to visit these places. I’m now offering affordable consulting services for companies that want to make their locations more accessible. If you’d like to work with me, please send me an email for more information. My fourth travel goal for this year is to include more and better quality photos and videos than I have in the past. I have so much material that I haven’t posted yet. Ideas, photos, and especially videos. Sometimes the sheer amount of it becomes overwhelming. I need to develop a better process for getting through that material and putting it online in a timely manner. I need to focus on video editing so that I can become faster at it. I’m a veteran traveler, but I always bring too much stuff. I worry about forgetting things or not having something I might need. I don’t like to wear the same clothes in pictures as I did earlier in the trip, or bring the same clothes on every trip. I’m girly that way. My final travel goal for 2016 is to evaluate my last few trips and really figure out what I needed and didn’t need. I will also be reminding myself that my trips typically don’t involve trekking into the wilderness, so if I forget something, a store down the street will have it. I’ll be documenting this process and posting new articles about how I pack and what works for me. Well, that’s my list of travel goals for 2016! I’d love to see yours, for travel or for whatever you’re passionate about. I encourage everyone to make travel one of your New Year’s resolutions. It’s one of the best things you can do for yourself and your family.